Herzog’s amazing insight into the most powerful forces on earth, and their influence on our belief system. If you were expecting a scientific, National Geographic type documentary on volcanoes, you apparently are not familiar with Werner Herzog. 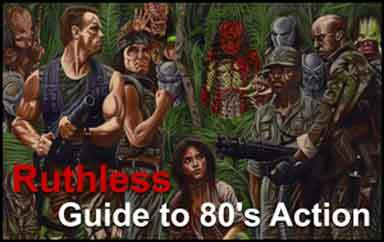 Here at Ruthless we don’t generally give gods much thought, but Werner Herzog comes close, and as usual, he does not disappoint with this documentary. 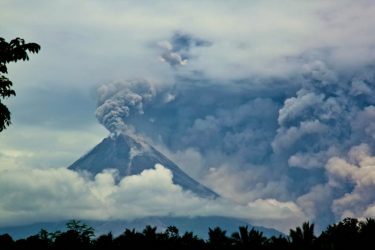 If you want to learn about volcanoes, take a course. If you want to learn about our relationship with ancient humans and their relationship even up to this day with these unparalleled devastating forces of nature, watch this film. There are many terrifying natural forces on this planet, such as hurricanes, tornadoes, tsunamis and earthquakes. 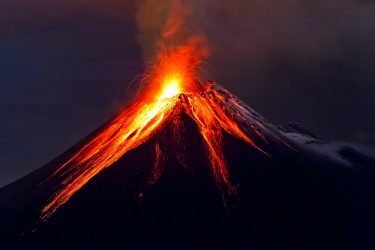 Volcanoes and super volcanoes have to rank at the top of the most awe-inspiring and devastating forces this planet can throw at its population. The previously mentioned forces can certainly wreak havoc, but only a super-volcano like the Toba eruption 75,000 years ago can seriously threaten the extinction of all life on earth. 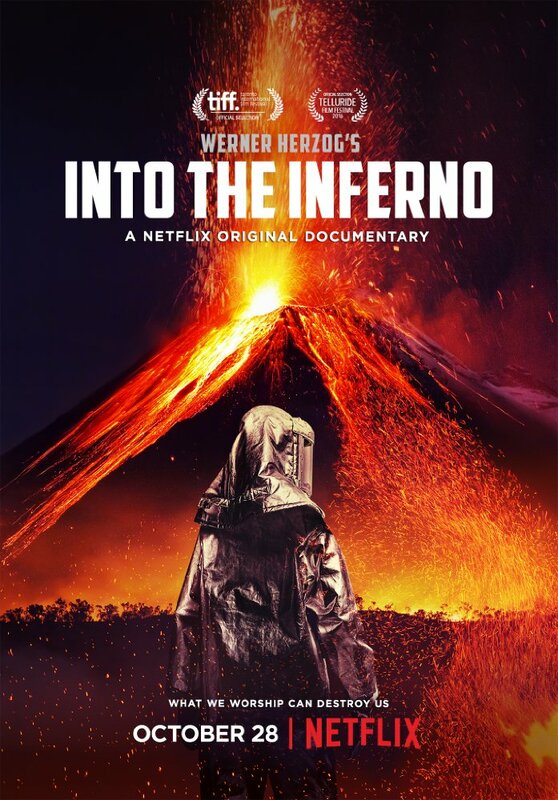 Herzog, with the help of volcanologist Clive Oppenheimer, wove a fascinating tale about volcanoes, gods and the relationship of humans with these volcanoes. The interviews started with the primitive leader of Ambry Island, the Village of Endu, on the Vanuatu Archipelago, just north of Australia. Right off the bat, Herzog married science, superstition and magic as the Village Chief talked of the temperamental and violent nature of the volcano spirits. Herzog and Oppenheimer take us to Indonesia and Iceland, where some of the most significant and spectacular volcanic activity on the globe has taken place. 73,000 years ago the volcanic explosion on Toba nearly wiped out the human race, and mitochondrial DNA clearly shows a population bottleneck during that period (or not). The Toba explosion was 10,000 times the size of the Mt. St. Helen’s eruption. The Merapi eruption in Iceland was tiny by comparison, but the disruption to modern aviation was significant and showed just how puny and vulnerable humans are, even with all their technology. The explanations were fascinating and the cinematography was gorgeous, but it was Herzog’s last stop that really stole the show. Mountain Paektu is a volcano in North Korea that last erupted in 1903. Like the religious and superstitious mythology assigned to volcanoes in places like Indonesia and Ambry Island, Mt. Paektu is exploited with mythology and magic, but in a much different way. Herzog is beyond amazing. Leave it to Werner Herzog to expose and utilize the most repressive government regime on the planet in a scientific volcano documentary! We really, really never want to go to war with North Korea and it’s not for the reason you think. The obliteration of such a unique and devoted people, no matter how brainwashed and coerced, would be a human tragedy. Herzog’s heavily censored and rigidly steered view into this enigmatic nation revealed a devotion to The Leaders that is almost impossible to comprehend. 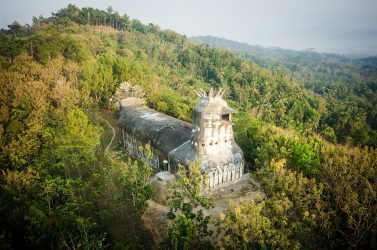 Kim Jong-un and his evil and oppressive predecessors successfully harnessed and harvested the might of the volcano to project themselves as gods. For a millennia Mt. 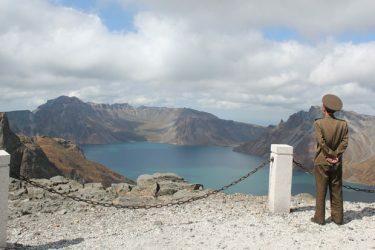 Paektu has been considered the mythical birthplace of the Korean People. Today the current regime has co-opted this myth for their own purposes and this hijacking of the very volcano for political purposes has to be seen to be believed. How Herzog was able to film in North Korea is almost as miraculous as the ancient gods of the volcanoes themselves. This is Herzog. This is what he does. He peers into the inferno and the abyss with almost a detached and reticent eye. Werner Herzog has done it again.